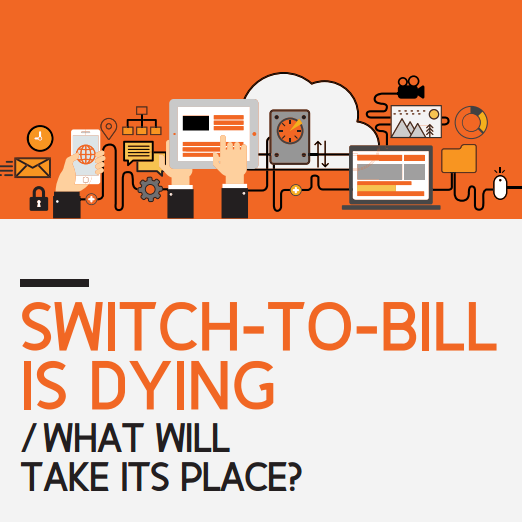 Switch-To-Bill Is Dying: What Will Take Its Place? The switch-to-bill reconciliation was a staple of Revenue Assurance controls, but it needs to be overhauled to make it relevant for modern times. Duration-based voice charging represents a diminishing share of revenues and there is no straightforward way to apply the switch-to-bill principles to the wide variety of services delivered by modern IP networks. Download this ebook today to find out how Revenue Assurance can cope with these new challenges.